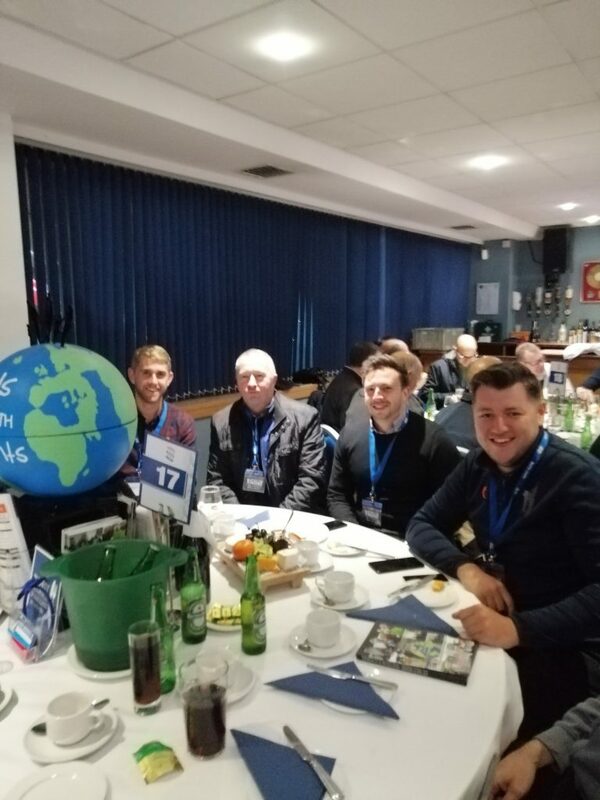 ‘Kids Need Both Parents’ were delighted to invite Paul Farbrace (Sporting Director at Warwickshire and former England Assistant Coach), Olly Stone (English Cricketer – fast bowler and batsman for Warwickshire), Ben Seifas (Commercial Partnerships Manager) and Mat Collis (Digital Media Manager) to join us in the Jasper Carrot Suite for the match against Sheffield United. They thoroughly enjoyed the hospitality and we hope to keep in touch and do some work in the community with them in the future! 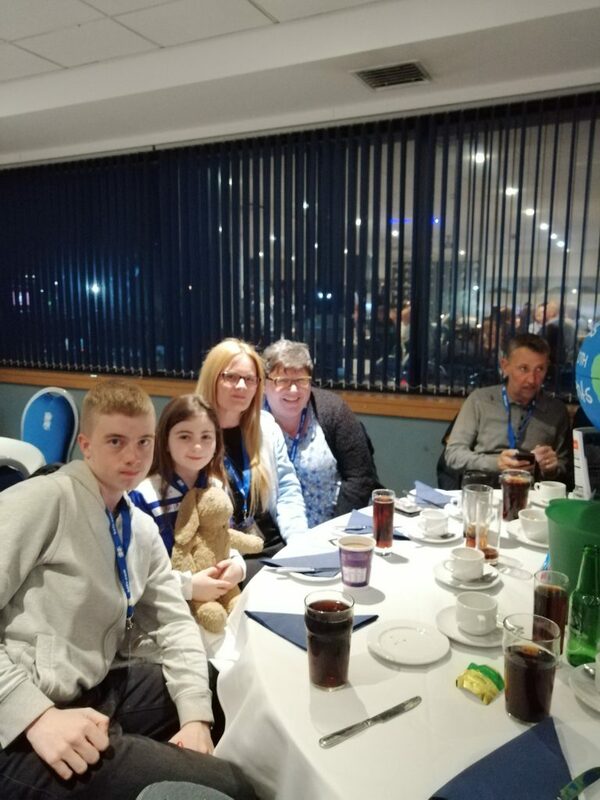 We were also joined by Linzie, Benny, Roxanna and Sarah. Roxanna bought her good luck rabbit (Bun, Bun) and enjoyed writing down the statistics for the match. The match finished 1-1 with Micheal Morrison scoring for the Blues. 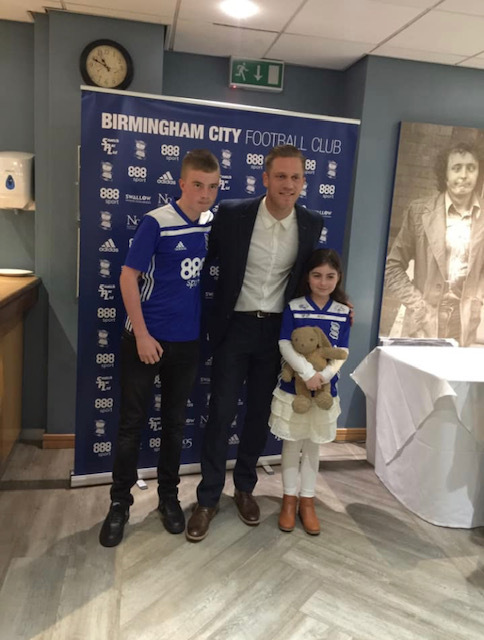 Benny and Roxanna got the chance to meet Michael (who was voted Man of the Match) after the game.